THIS FLORIDA LEXUS HAS AN EXCELLENT SERVICE HISTORY AND WAS WELL CARED FOR BY THE PREVIOUS OWNERS. The Lexus RX 330 excels at smoothness. It rides more quietly than most cars, not to mention most SUVs. It glides over bumpy roads. It's very easy to drive with light steering and excellent brakes. Its airy cabin is luxurious and inviting. The Lexus 330 is powered by a sophisticated dual overhead-cam V6 engine with variable valve timing, driving through a five-speed electronically controlled automatic transmission. The RX 330's list of standard luxuries is long, and includes automatic climate control, premium audio, cruise control, traction and stability control, privacy glass, automatic headlamps, ten-way power for both front seats, wood and leather trim for the steering wheel and shift knob, a power rear liftgate, and 17-inch aluminum wheels. The Premium Package ($2,145) includes leather upholstery, power tilt/telescope steering wheel, roof rack, and a one-touch moonroof. Safety features that come standard include dual frontal airbags, front-seat side-impact airbags (for torso protection), side curtain airbags (for head protection), plus a driver's knee bag. The side curtain airbags extend to help protect rear-seat passengers as well, and respond to a rollover sensor in addition to the usual decelerometer. 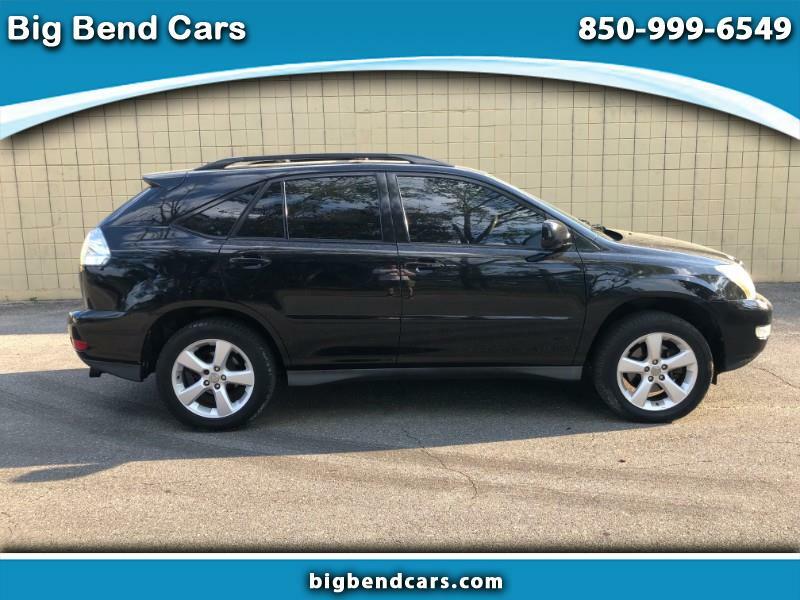 The Lexus RX 330 is notable for its smooth ride. It glides over broken, potholed pavement. Its steering is light and accurate and it feels poised when cornering. Its fully independent suspension helps keep the tires in contact with the pavement for lots of grip. The RX 330 is smooth and quite responsive, particularly around town. The five-speed automatic transmission offers better response and efficiency than a traditional four-speed automatic. Its low first gear offers quicker response off the line, useful when you need to merge into traffic from a standing start. We found throttle tip-in overly sensitive at times, but quickly adapted for smooth take-offs. Lexus says the all-wheel drive RX 330 can sprint from 0 to 60 mph in 7.8 seconds and run a standing-start quarter-mile in 16.0. Fifth gear, meanwhile, provides lower engine speeds when cruising, which translates into quieter running with less engine noise and better gas mileage.